Oracles are for those who might not know are people who act as mediums in order to get advice from those above. Many oracles use cards as a means of reading the prophecies and messages that people are meant to find. If you want to know what kind of message your soul needs to hear right now, you have come to the right place. 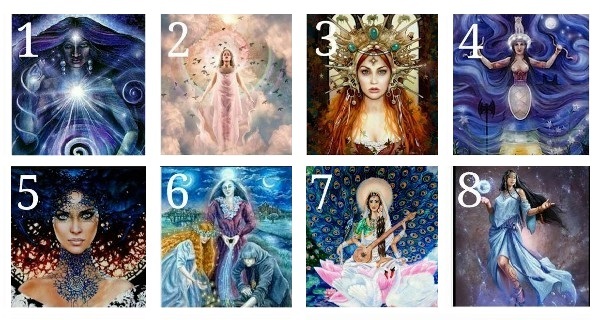 Take a look at the image below and really figure out which one draws you in the most. Each one is of something different but they all hold deep meaning. 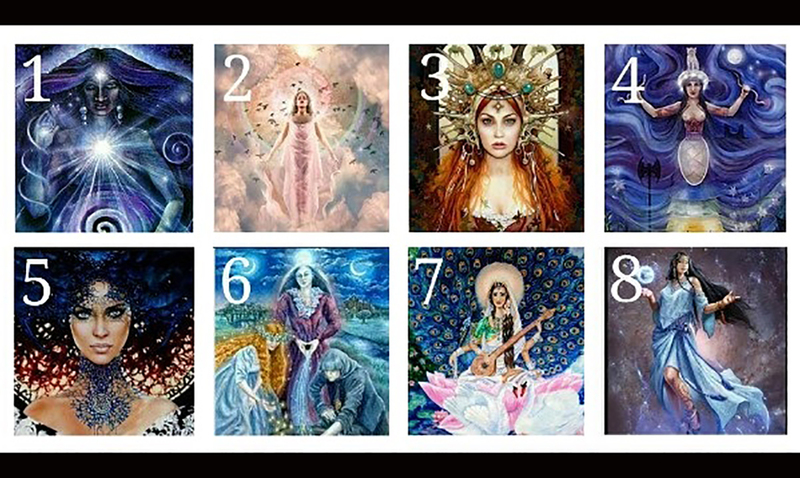 Once you have chosen one that really speaks to you take a look below to find out what it means. While it might not seem like much once you find the message you’re meant to find things will begin making sense. Things like this find us at the times when we really need them to. This oracle shows us that you are on the right path. You are ready to reach out and take what is before you but you are also a bit hesitant. While your conscious is growing and you are making the spiritual changes that need to be made you are also withdrawing. Your soul needs to be reminded that you are headed towards something amazing. While there will be ups and downs everything you are facing is part of your process. In the end, you will get the things you desire, you must stop doubting yourself. This oracle shows us that you are working to benefit the people around you. You are realizing your full potential and well on your way to where you need to be. You have recently begun letting go of the things that were holding you back and you are now a better person for it. All that you desire is making its way towards you. While you are still on a quest you should remind yourself that the more you give in to temptation the further away your goals become. Remain as strong as possible and do not let anyone knock you off your game. While this whole situation can be frustrating you are allowing your personal energy to bring you to where you need to be and that is truly magical. This oracle shows us that you have found your inner strength. You are no longer falling behind or lacking in any areas you might think that you are. You are very focused and your soul is taking everything in that you are offering it. The more you accept yourself and the things to come the better off you will be. This oracle shows us that you are really beginning to open up. You are allowing the messages that you’ve been ignoring to finally find you and you ‘re really allowing the angels in your life to guide you. You are not falling behind anymore or wasting time. Keep doing what you’re doing because it is really bringing you to a special place within. This oracle shows us that you still have a long way to go. While you are taking things slow and remaining strong you are also closing yourself off. You need to take action in a positive way. Stop letting your fears and insecurities get the best of you. While you seem fierce you are actually the opposite and that is throwing those around you off as well. The more you work on yourself the better your life will end up being. Remember that you are not alone and that while taking things slow is fine here and there it isn’t the way you should be progressing right now in this moment. If you don’t get up and try you will never move forward. This oracle shows us that you are currently feeling very free but for the wrong reasons. You are happy and really allowing things to come forth but you are not being cautious. Your soul is not as guarded as it should be which is quartering you at risk of being drained energetically. While you shouldn’t be locking yourself away you should be protecting yourself. The people you hold closest might not be the people you need in your life. Perhaps you should be taking a step back and rethinking the connections before you. Is there someone in your life that shouldn’t be? This oracle shows us that the universe is really working for you in mysterious ways. You are at your peak and where you need to be. You are finding your courage and really exploring yourself spiritually. During the weeks and months to come, everything will change but I do not mean that in a negative way. This oracle shows us that you are doing well on a soul level. You need to be reminded that not everything is as it seems but other than that you are doing well. You are not going to fail if you continue as you are but you should not be overly friendly to those who wish to do you harm. You have recently undergone deep transformation and are now working on getting through the things coming up from your past. During this time remember to be kind to yourself above all else. You are truly a force to be reckoned with.